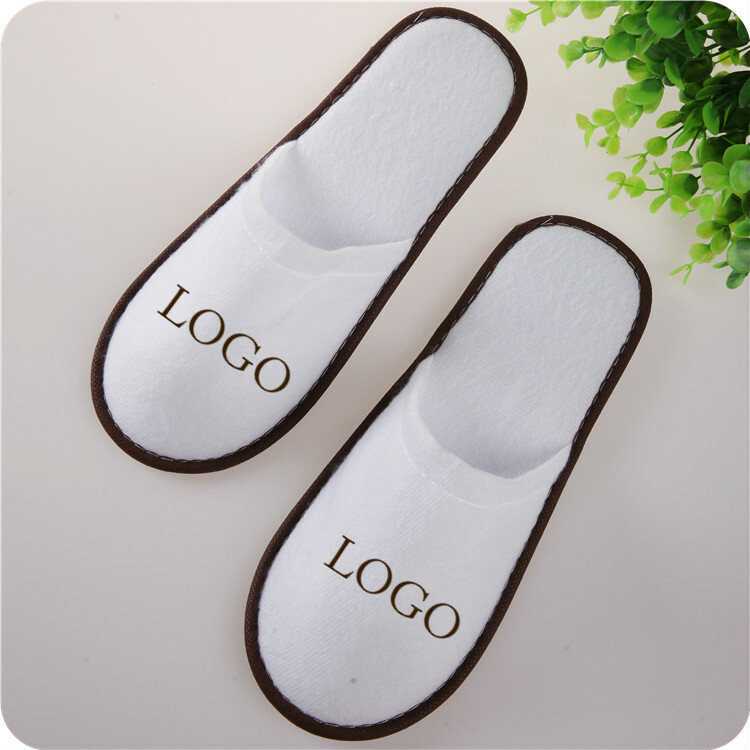 This disposable slippers material ispulled fabric/plush, the sole is EVA, wear comfortable, easy to use. You can custom the logo on the vamp. Good promotional product for hotels and hospitals institutions. Package: 1 pair /opp bag, 100 pcs/ctn, 22 lbs/ctn.